Island Knitwear - Jacki Saunders designs and produces a range of knitting kits and beautifully crafted hand knitted clothing for sale. 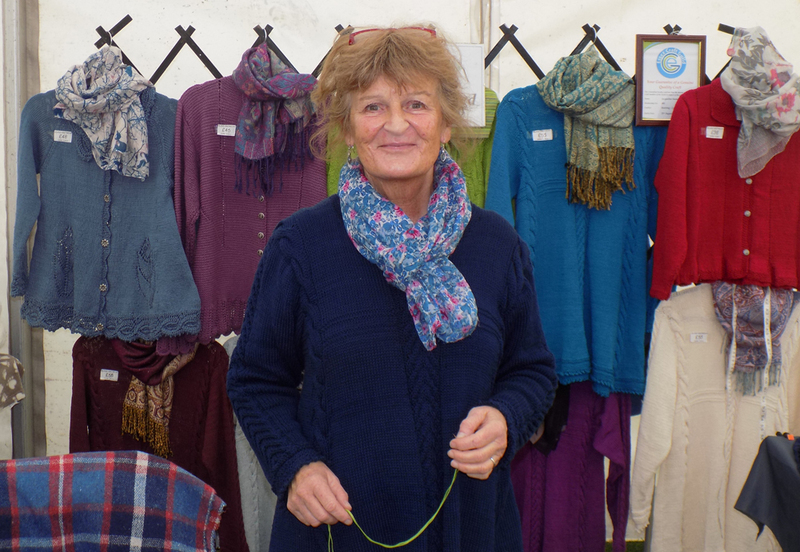 Island Knitwear is owned by Jacki Saunders who designs and produces a range of beautifully crafted hand knitted cotton garments. Jacki’s designs draw not only on the tradition of classic celtic patterns but having studied knitwear techniques and materials from around the world, Jacki offers a unique blend of classic and fashion knitwear designs that hopefully will appeal to all ages. All garments are hand knitted using only the best in 100% cotton yarn, some of which are dyed using natural dyes. Jacki has been a member of the Essex Craft Guild for over 20 years. Craft Marquee, Euston Park Rural Pastimes, Euston Park, Nr Thetford, Norfolk IP24 2QH.